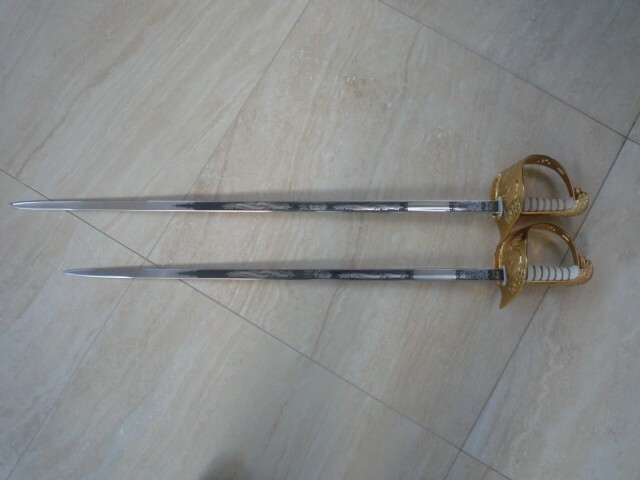 Made by WINDLASS fully to Defence specification but with a shortened blade 72.5cm. 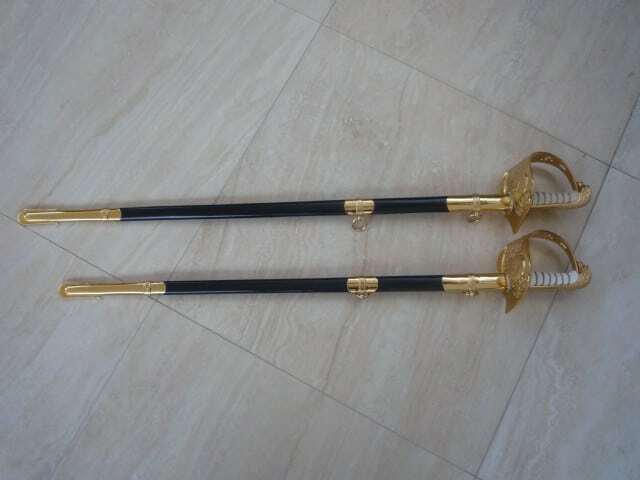 Quality stainless steel blade and gold plated mouldings. 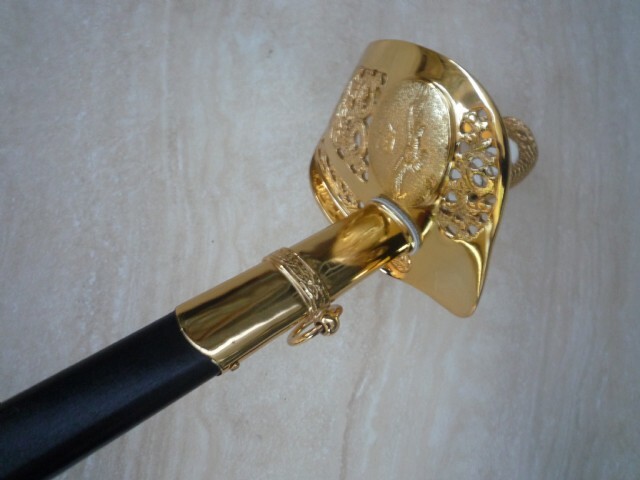 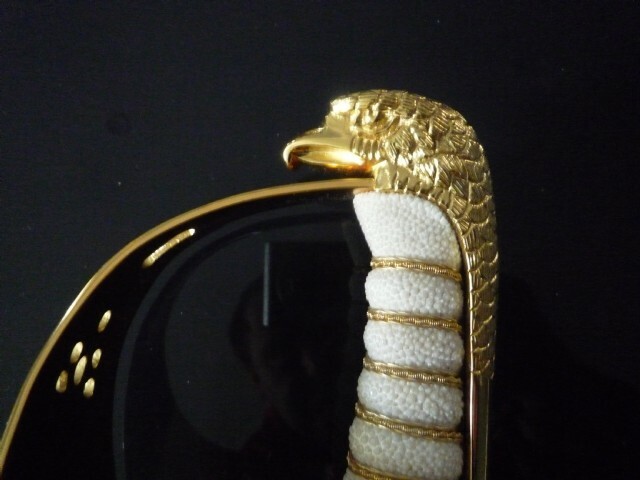 Imported leather scabbard with gold plated fittings.